Glasses & opener sitting in black foam insert with foam layer over the top. 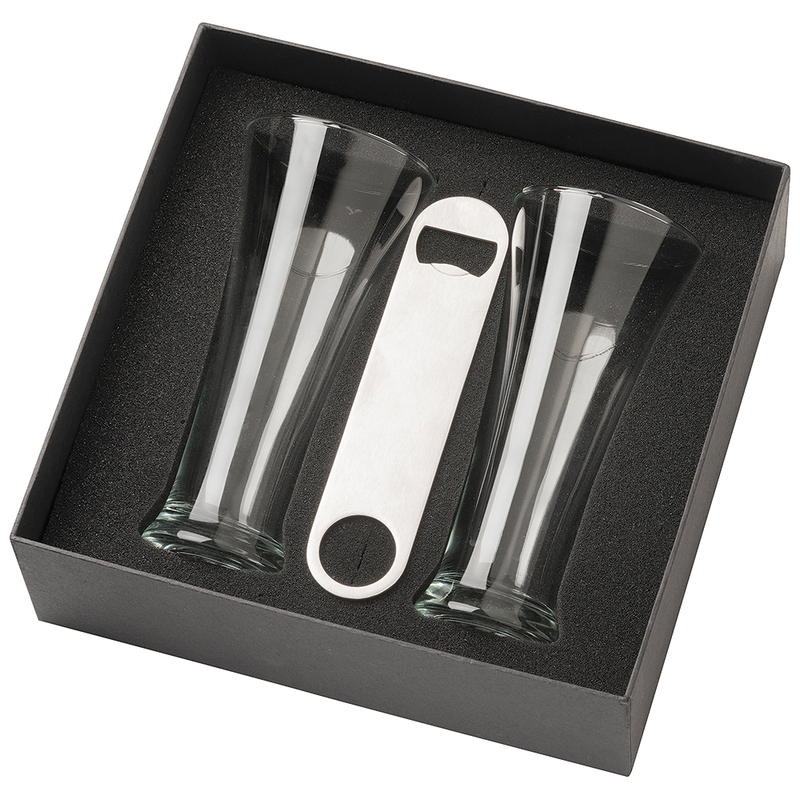 Presented in a plain 2 part black gift box with white sleeve. Packaging size: 250mm(w) x 235mm(h) x 88mm(d).